Bridgeview Self Storage’s top of the line facility was built in 2008. It is located just off of Amelia Island on highway A1A in Yulee, Florida and also serves Fernandina Beach and Amelia Island. From the ground up, Bridgeview Self Storage was built to be a local innovator in mini storage. Our high-end security and advanced technology provide peace of mind when you store your belongings with us. 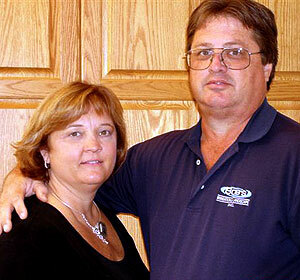 The mini-warehouse facility is locally owned and operated by Donna Lynne and Robert VanPuymbrouck. The VanPuymbroucks are familiar with the Fernandina Beach community as they have been business owners in Nassau County for over 20 years. Donna Lynne owns and operates Donna Lynne Custom Homes, a high-end custom home builder. Robert owns and operates Bob’s Irrigation and Landscape, Inc.
Donna Lynne and Bob invite you to stop by Bridgeview Self Storage to tour the facility.